Level annuities are the most common type, but enhanced annuities could be suitable if you’re in poor health. Annuites come in all shapes and sizes, but it’s vital that you pick the right one – because once you buy one, you can’t change your mind. Whichever annuity type you decide to go for, always shop around before purchasing. It’s an irreversible decision, so seeking advice from an independent financial adviser could also help you secure the best deal. * value protection – less commonly used and likely to reduce the amount of income you receive, but designed to pay your nominated beneficiary the value of the pot used to buy the annuity less income already paid out when you die. You may be able to combine some of these options. Your choices affect how much income you can get. This guide outlines the different types of annuity and what you’ll get from each. Level annuities pay out a flat, or ‘level’, amount of income every year for the rest of your life. 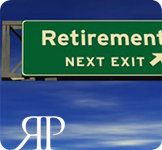 The advantage of this type of annuity is that you get the highest rate possible at the start. However, inflation will eat into this flat rate of income over time, meaning that you won’t be able to buy as much with your money in later years. These pay out an increasing amount each year. You can opt for a specific percentage increase each – say, 3% – or in line with inflation one. This is usually the Retail Prices Index (RPI). Escalating annuities protect your retirement income from inflation, but they’re expensive. When you first buy one, the income you’ll be paid is likely to be around half that of a level annuity, and it could take as much as 20 years for you to be paid for than a level annuity. Single-life annuities – meaning that the income is paid to just you – account for around two thirds of all those sold, but if you have a partner who might outlive you it can cause problems. You could buy an annuity with a guarantee, which will carry on paying out for at least five or ten years after you buy it – even if you die during this period. But the best way to provide for a surviving partner is to buy a joint-life annuity. These annuities pay you an income, then after you die, an income to your partner or spouse until they die. You can set the amount that is paid after the first death – at 100% (the same as the initial rate), or 66% or 50%. The starting rate is lower than for a single-life annuity, but these could end up paying out more in the long run. The payouts from these are tied to the stock market, so the amount they give you varies depending on the success of underlying investments. They start by paying an initial annual sum, which rises or falls in subsequent years. Like investment-linked annuities, these rise or fall in line with investments. However, they have a guaranteed minimum, so you have a degree of certainty, but they’re complex products and not right for everybody. Fixed term annuities are like standard annuities, in that they pay a set amount each year. However, they stop after a certain period (normally five or ten years) and on maturity they pay out a capital sum, which you can use to purchase a standard annuity or invest it in another product. You aren’t locked into a single rate for life and you can shop around for a better deal later on. Standard annuities are based on average life expectancy, currently 83.2 for men and 85.8 for women. But not everyone lives this long, so some providers recognise offer enhanced annuities to people in poor health or with lifestyle conditions that mean they might die earlier. They’re worth considering – you can increase your annuity income by as much as 50%.